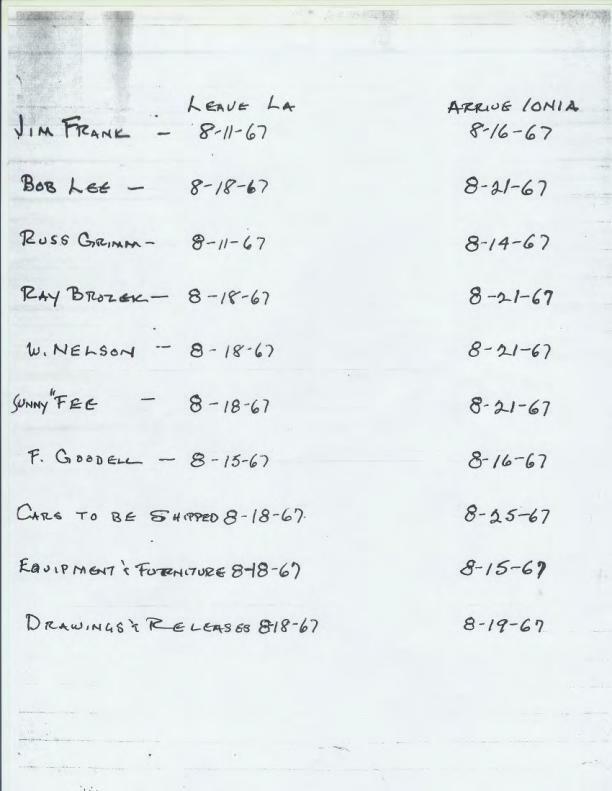 The earliest that any staff relocated was August 11, 1967 and all staff was present in Ionia by August 21. Vehicles, furniture and documents were shipped on August 18 and arrived no later than August 25, 1967. Note: We believe the Equipment & Furniture arrival date of 8-15-67 is a typographical error. The correct date should be 8-25-67.